With the new year just starting off, it’s the perfect time to start thinking about ways to embrace healthier habits. One of the easiest goals to set for the new year is committing to scheduling more personal time. In today’s busy world we’re constantly exerting our energy and draining ourselves. Every now and then, we need to take a break from the chaos and practice some self-care. While some may be quick to say putting your own needs first sounds selfish, there is a vast amount of research that shows taking time for yourself is a necessity to a healthy life and can help reduce stress and anxiety. Personal time can be different for everyone. What you do for yourself is something that only you can determine. Setting aside at least 30 minutes of “me time” is a great way to reset your mind and body. But you should take more time when you can. There are benefits of giving yourself permission to do something you’ve been wanting to do but haven’t because you’re too busy. Maybe it’s as simple as going on a date night, going to the movies or attending a cooking class you’ve been wanting to try. Or it could be a trip you’ve been wanting to take but haven’t been able to plan. Getting away for a week, or even a weekend, might be just the thing you need! There are lots of ways to help find the best travel options and plan for things on a budget, so if travel is something that has been on your wish list, make 2019 the year to do it! Smart ways to help plan a trip. It’s never to early to start planning. Give yourself a budget and start a travel fund now. Set flight alerts on your phone so that you are notified when the prices for flights go down. If you can, make it a road trip. A lot of great adventures happen on the road! Plan activities outdoors. Mother Nature doesn’t charge admission! Book directly through hotels to get the best deals. A lot of third-party sites charge additional hidden fees, so you’re guaranteed to get the best deal going direct! No matter what your treat will be, there’s never a better time to start something than now. Taking the first step in planning something, or just going out and doing it is the best way to avoid getting trapped in the chaos again. Don’t let you get pushed to back burner again, give yourself the time, and do it guilt free! Check to see if we have a room for you when you’re ready! Looking for More than Just a Place to Stay? A New Approach to your Boutique Hotel Experience! When you’re searching for a place to stay, you may not get what you’re looking for if you just pick somewhere because it’s the “cheapest” or “closest” place. You may be searching online for hotels nearby for a staycation, a place to put your visiting family, or a place to get away. Your options depends on where you want to stay, what kind of places you like and what you need. Are you someone who spends very little time in the room? It’s just a place to sleep and take a shower. Or, do you want a homier feeling? You could opt for an Airbnb, but you’re often staying in someone else’s space, and there’s no guarantee that you won’t run into difficult hosts. There’s also no promise of the quality or that you will get what you expect. You could experience that awkward moment when you realize you’ve booked a room in someone’s house. 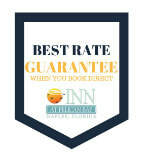 If you want affordable quality and comfort with a guarantee, choose a place like The Inn at Pelican Bay in Naples, FL. We aim to give you all the comfort of staying at home, while still providing a premiere boutique hotel experience with just the right amount of luxuries and hotel amenities. Stay with us enough and you may even find you have an extended family. Over the years we have met some wonderful guests and even built an Inn family who stay with us regularly. ​It’s important to everyone at the Inn that each guest is given an experience that goes beyond a traditional in-and-out hotel trip. This year we want to build even stronger relationships and give people a destination that offers people more than just a place to stay. Starting this month, we will be introducing The Inn at Pelican Bay hosted events for guests and friends. Aiming to create an atmosphere of fun, there will be an in-house hotel event director who will lead events to make sure everyone is happy and having fun! 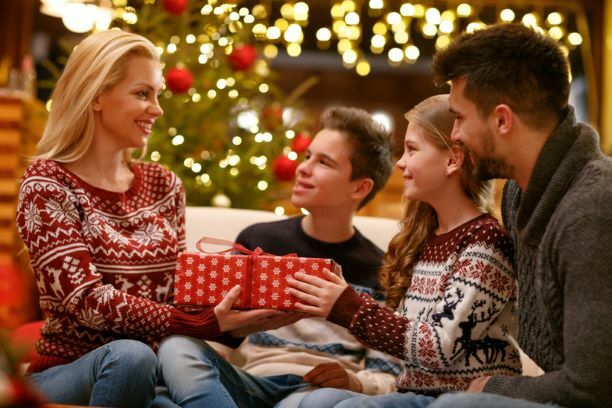 This season give the gift of memories, fun, and time spent with loved ones. It’s that time of year again when everyone is stressing out about their holiday to do lists. Parties to attend, meals to cook and trying to figure out what gifts to get. There are a lot of great gifts to get your loved ones. With online retailers and shops, there’s a multitude of options for someone to choose from. But do we really need more stuff? In today’s world, people are bombarded with materialistic overload. People have more things than ever, and after a while, these things just become another object in a collection of many. While sentimental and unique gifts are always fun to give people, sometimes a gift can be more than a product. This holiday consider giving someone something that isn’t material. Give them the gift of an experience. There are lots of experiences you can share with someone from cooking classes, skydiving, jet skiing, camping, going to see a show, or a trip somewhere beautiful! 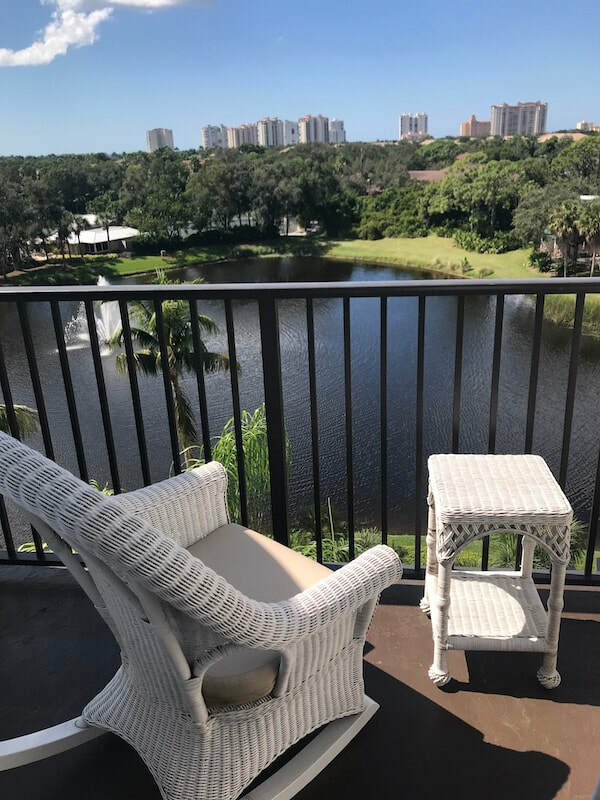 The Inn at Pelican Bay is a great place to enjoy beautiful and serene Naples, FL. Spending time in the homey boutique-style hotel in the heart of Naples is a great option for couples or individuals who need some relaxation, sunshine and even some fun nights out. Often, experiences can be shared together. It can create great opportunities for bonding, and even benefit the gift giver as well. Most people don’t take the time for themselves to plan needed getaways or fun experiences for themselves. If you do it for them, they will be extremely grateful everything is already set! Experiences create memories, and memories can last a lifetime. You can still present an experience in a creative way. Use a box to wrap a ticket or create a custom document with details of the gift, include pictures and fun things to do. It will stand out from the others gifts for years to come. Experiences can contribute more to long lasting happiness. We’d love to create a memorable experience for you at the Inn at Pelican Bay in Naples, FL. Check availability today. One of the most important things people look for in their search for a place to stay, is the hotel amenities. Especially true with boutique hotels, people don’t just want a bed to fall into, they want a place that shows they care, offers an atmosphere they’re looking for and luxuries that make them feel like they’re getting more than what they paid for. As more and more people are basing their decisions on what a hotel has to offer, the standard of hotel amenities continues to rise. The Inn at Pelican Bay in Naples, FL is always looking for ways to upgrade hotel amenities. As a privately-owned boutique hotel, we have the opportunity to act quickly to make changes without having to jump through corporate hoops. Because of this flexibility, every Summer and Fall we go back to the books and look for ways to improve your stay with us here at the Inn at Pelican Bay. Most of the changes we make actually come from your suggestions as guests and friends. Last year when we looked at your ideas, we were able to bring some of the concepts to life, such as installing hardwood floors, eliminating bathtubs and replacing them with spacious showers with glass sliding barn doors complete with amazingly refreshing rain shower heads, and adding higher commodes…after all, the thrones must be suitable for guests of all heights!